At Klymit Australia, we love working with the people who are passionate about hiking and all things outdoors. Since launching in Australia at the end of 2015 we’ve made friends with some of the country’s top hiking bloggers. Today we got chatting with Darren, the founder of www.trailhiking.com.au. This website is a great resource with close to 300 local trails in Victoria listed amongst its pages. What we love about this site is the detailed knowledge that comes with each hike such as distance, duration and grade. If you’re new to hiking or consider yourself to be an experienced hiker this website is a great place to start if you are planning a day hike or longer overnight walks in Victoria. In this article you will learn about why trailhiking.com.au started, the health benefits about hiking, favourite hiking spots and what Darren has planned for 2017! Q1. How long have you been hiking for, and what got you started? I have been running my own design agency for the past 24 years and as such spend a lot of time sitting at my desk in front of a computer. I didn’t do a lot of exercise apart from a few short walks and a bit of manual labour. One day I woke up and realised that I was not as fit or skinny as I used to be and running around after my two young boys would leave me feeling exhausted. I had just passed the 40-year mark too and felt like if I didn’t make a change now then the second half of my life would really be tough. 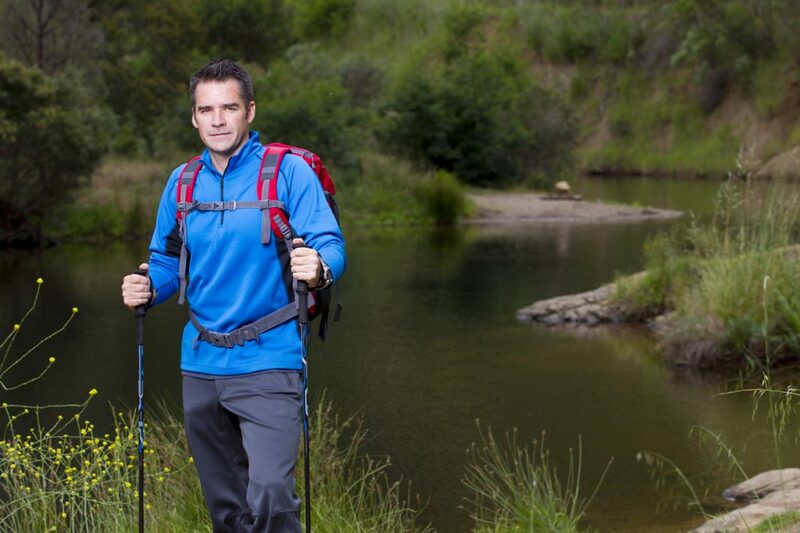 I have always enjoyed the outdoors, walking, camping, fishing but had never truly hiked. In Christmas 2012 we were holidaying at the Grampians with friends when I decided that I had had enough of sitting around the campsite so I headed to the Pinnacle for a short hike. It was so tiring and felt like it took me hours to finally reach the summit. But I loved it. It hurt but it felt good. So the next day I work up at 5:30am, grabbed my pack and breakfast and headed up there again to watch the sun rise. I did that every day for an entire week before we returned home. I was fortunate to be living on the edge of the Lerderderg State Park in Victoria’s west so when we returned home I purchased a topographical map of the area and started hiking. I hiked every weekend, sometimes on both days and after approximately four months I was astonished that I had lost 14kg. I hiked for fitness and I hiked for mental well-being. I found that getting up early on Saturday morning and going for a hike separated my working life from my family life and I could better engage with everyone around me. That is where it started and I have never looked back. Q2. 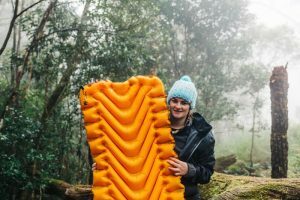 What made you decide to start trailhiking.com.au? I love detail and I love information. As soon as I started hiking I tracked and photographed every hike that I undertook. When I returned home from the hike I would write up detailed trail notes and would store all of this information in a folder on my PC for my own personal use. In 2013 I joined a hiking group as I wanted to start to experience more remote locations that I didn’t feel comfortable visiting alone. After speaking with people on hikes I was quite amazed at how little people knew of the local trails and parks close to Melbourne and beyond. As my background is in web design I decided to set up a quick blog so that I could easily share trails with others. The site quickly grew and after two years of hiking I already had in excess of 150 trails that I had hiked, I had to find more. Q3. At what point did you realise that hiking had become an obsession for you? I remember that day that I stood on the scales and realised that I had shed 14kg by hiking. That was a pivotal moment for me as I realised that hiking was not something I only wanted to do whilst on holidays. Hiking was something I wanted to live and breathe. It was a lifestyle that I could see would provide so many benefits and I wanted more. Q4. What has been your most memorable hike to date, and for what reason? Oh what a question. I have had hiked in so many amazing locations but I guess the one that keeps coming back to me is one I did with my wife, the Mount Clear Traverse. It was one of our first high country multi-day hikes in the Victorian High Country. The circuit takes two days to complete and traverses five alpine summits. In a lot of places the trail skirts around the base of each of the peaks so we decided that we were doing to take the high line and walk over every peak. By the end of day 1 we both collapsed into our tent, absolutely exhausted but exhilarated by what we had achieved and the stunning scenery we had seen. There is nothing better than hiking deep into a remote area and to feel like you are the only person on this earth. Q5. Can you recommend any good hikes for those just starting out? The key to getting ready for hiking is to start hiking. Start off small with a light pack on fairly level terrain and as your fitness and endurance increases gradually increase the distance, gradient and your pack weight. The best hikes close to Melbourne, in my opinion, can be found in the Dandenong Ranges, the You Yangs and Werribee Gorge. The last one is my absolute favourite as the gorge provides you with a real sense of adventure and beautifully rugged terrain and has trails that are suited to all level of fitness and experience. It’s my playground and I have returned to this park at least 40 times so far. Q6. What is your favourite store to get all your gear from? I bought a lot of my gear from Anaconda when I first started out. 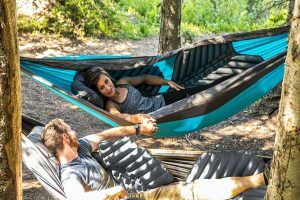 Their gear generally well-priced if you are not sure if you are into hiking. Now I shop at a combination of Kathmandu, Backpacking Light, Bogong and Paddy Palin for all of my more technical gear. If I had to choose a favourite, I would have to say Backpacking Light. Q7. How do you feel once you finish a trail? I feel alive. Hiking provides me with a number of incredible benefits. The ones that are most important to me include stress relief, fitness, and self-confidence. I like to challenge myself on hikes both physically and mentally and every time I arrive back at my car I feel an amazing sense of achievement that I have taken myself past what I previously felt comfort with and that I am privileged to be able to go wherever I want to go. Q8. 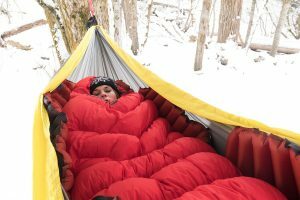 What is your number 1 tip for fellow trailhikers.com.au? Try hiking alone. We have the freedom to venture into many regions of this country and to lose ourselves in the wilderness. A lot of people join hiking groups so that they can be taken into areas they would not dare go alone. While this is fantastic and a great way to discover new areas it doesn’t always equip you with the skills you need to become a confident and experienced hiker. Confidence is faith that you will act in the right way because you have skills. Hiking alone forces you to plan, it forces you to be aware of your surroundings, to understand your gear, to learn how to read topographic maps and use a compass. You have to rely on your own intuition and be realistic about your abilities, pain threshold, endurance, and what you enjoy. When hiking in a group you can get distracted by conversation and lazy in your planning with the expectation that someone else is leading the hike. All this does is not allow your confidence and experience to grow. Q9. What new things will you be adding to your blog in 2017/2018? I am forever in the search for new trails. Just when I think I have exhausted possibilities I find new trails and regions to explore. While my focus is on Victoria at present I would like to gradually expand interstate so that www.trailhiking.com.au becomes a resource for all Australian and visitors to enjoy. I would also be adding new tips and advice for hiking safely as well as a user forum to really build community. Q10. What has been your highlight from your blog community? I started this site simply to share the many trails I have explored. When I did so I didn’t really appreciate the magnitude of the response or the importance of educating the community about the many benefits of hiking and how to do it safely. I am really excited that there are now in excess of 294 trails on my site with over 20,000 visitors every month. The highlight for me is that I know I am helping people to discover the many joys of hiking and providing them with a tool that aids in their adventures. To me that makes my effort all worthwhile.